Yesterday I celebrated 37 years clean and sober. I came to recovery with as much counter-will as the next addict/alcoholic. I was resistant to the idea of quitting in the first place and I had this idea that "if there was no God, man would create one" worldview. When people said, "God of my understanding," what that meant to me was "God of my creation." I was young and impressionable and it sounded dangerous to go it alone in sobriety without God. I equated believing and belonging and I really wanted to belong so I feigned the believing part. Don't get me wrong; the idea of a loving, all knowing creator of the universe that had a vested interest in my life, my recovery and dispensing serenity, courage and wisdom to me upon demand, that was an attractive proposition. But the idea of an interfering/intervening higher power is a fantasy (for me). For me to believe in such a thing would less than sane and to pretend in order to belong is less than honest. I found a way to lampoon my search for God. "I don't know about spiritual awakenings unless they look just like rude awakenings - then I have had plenty." Lines like that got the heat off and sometimes got a laugh. But what's more lonely and more dangerous that being a phoney in recovery? I had to come clean. I did come out of the closet. It cost me friends in recovery and it deepened other friendships. Like some would say their favorite color is blue and others say green, orange, purple or red, beliefs aren't something we come to. We just have them. I believe the world is chaotic and mysterious, not intelligently designed. I believe in an inner power, "With few exceptions, our members found that they tapped an unsuspected inner resource which they presently identify with their own conception of a Power greater than themselves. Most of us think this awareness is the essence of spiritual experience. Our more religious members call it 'God-consciousness." I am not one of the more religious members so I don't relate to a consciousness with God. I suspect that those who speak emphatically about God's will for them (or the rest of us) are hearing voices from their own ego, not a creator. I don't even use the word "power greater than myself" in the real world. There are many powerful forces but I don't pray to them and they don't determine how serene or courageous I am. I joined an agnostic AA group and I have a large online community of humanist, atheist and other non-believing 12 Step members. 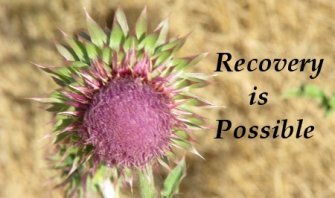 There is a world directory of agnostic AA meetings at http://rebelliondogspublishing.com along with facebook and Google groups for agnostics and atheists in recovery. Being authentic was a real breakthrough. I believe in a good many things - I just don't believe in a prayer-answering higher power. I use to call myself "Still Seeking." Now I call myself post-power. There is power enough in the power of example but it's no miracle--it's cause and effect. Thank you for sharing, giving hope and direction good for you have a safe 24! I relate and agree to pretty much everything you shared on the topic of God. I recognize that the power of sobriety has to come from the self. Good on you, man. Hope you are well.